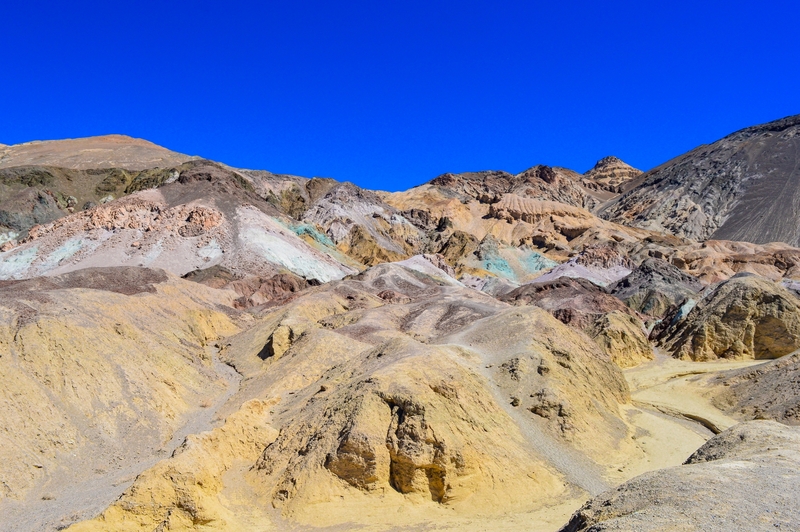 Death Valley National Park certainly isn’t the first place you would think of when it comes to artistry and colour. Instead it conjures up thoughts of a hot, dry and arid landscape that is sandy with perhaps a few green cactuses thrown in. Place some vultures overhead and scorpions on the ground and you have your perfect desert image. 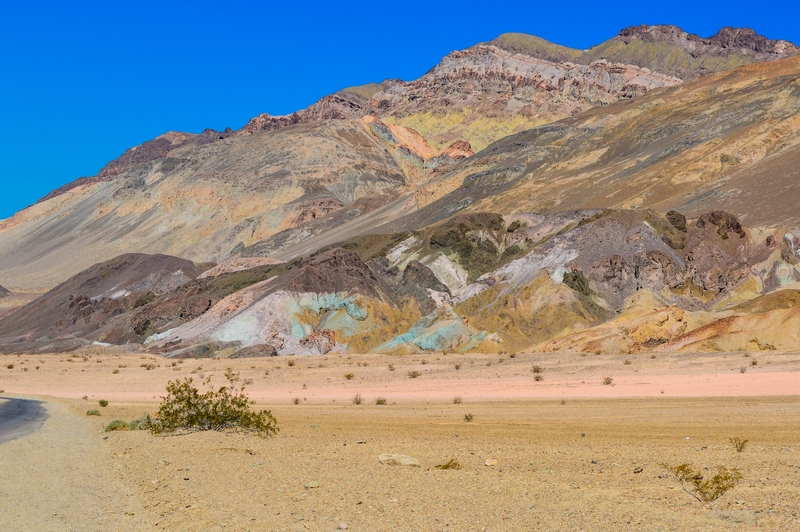 Death Valley National Park certainly does support that desert stereotype however if you look in the right places you can find some beautifully colourful scenes that are hidden away from the main roads such as on Artist’s Drive. 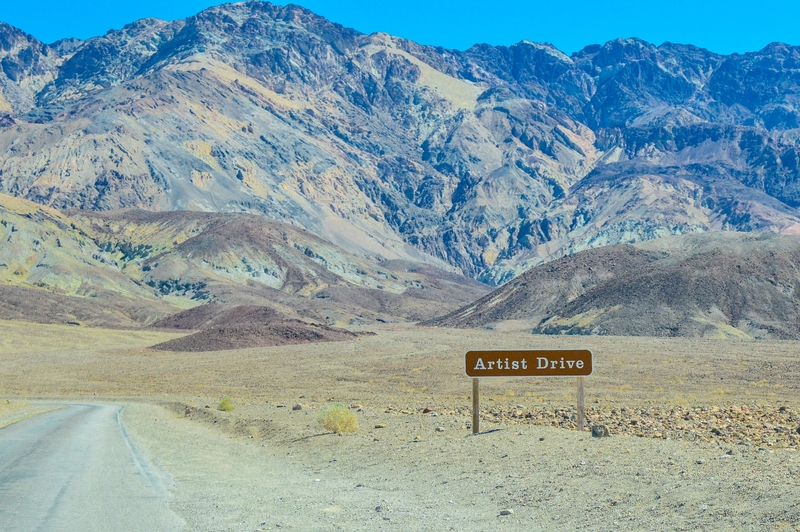 Artist’s Drive is a single track road that winds its way between natural rock formations in the National Park. 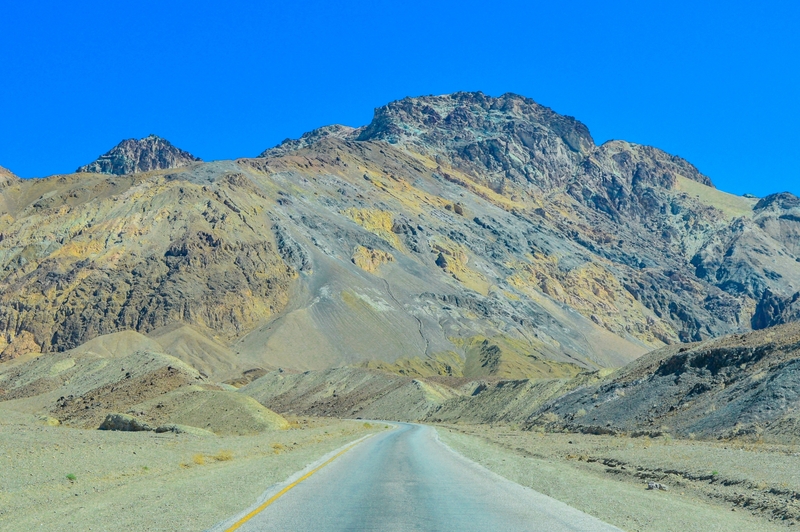 It is really easy to get to Artist’s Drive and is perfectly safe to drive with a good road surface. There a few steep sections and hairpin bends but certainly nothing that’s going to cause you any grief. 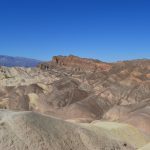 The route is well known in Death Valley and named as it is due to the colourful mineral deposits that exist on the rocks that line the road. 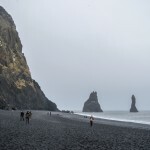 More than five million years ago, repeated volcanic eruptions blanketed the landscape, depositing ash and minerals. 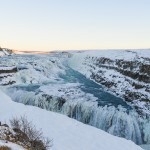 The volcanic minerals were chemically altered by heat and water, with variable amounts of oxygen and other introduced elements. Chemical analyses have identified a paint pot of elements: iron, aluminium, magnesium, and titanium, but no coppers. Some of the colored minerals here include red hermatite and green chlorite. 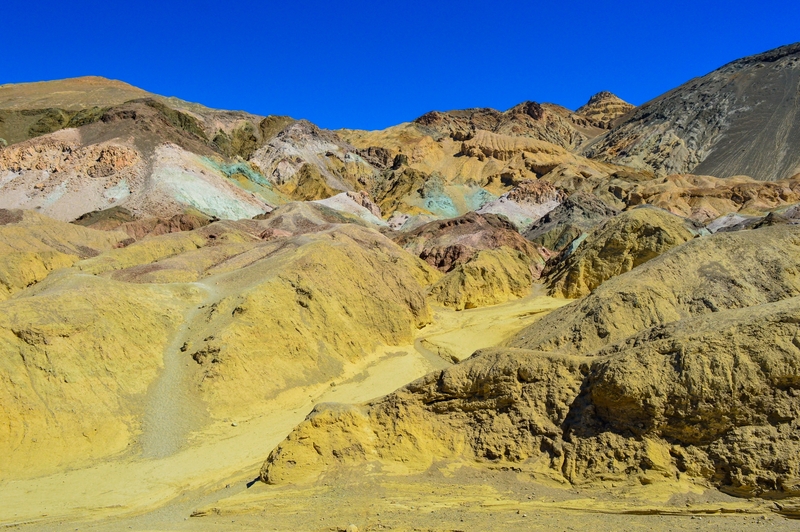 This is truly a natural artist’s palette of color splashed across the slope. 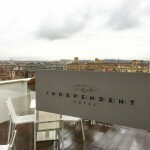 The time of day, clouds, and the rare rainfall shift the intensity of the colors, making each visit slightly different. 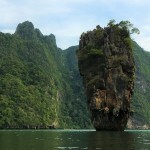 The full colour spectrum here is broad so you’ll be amazed at how colourful some of these rocks look. 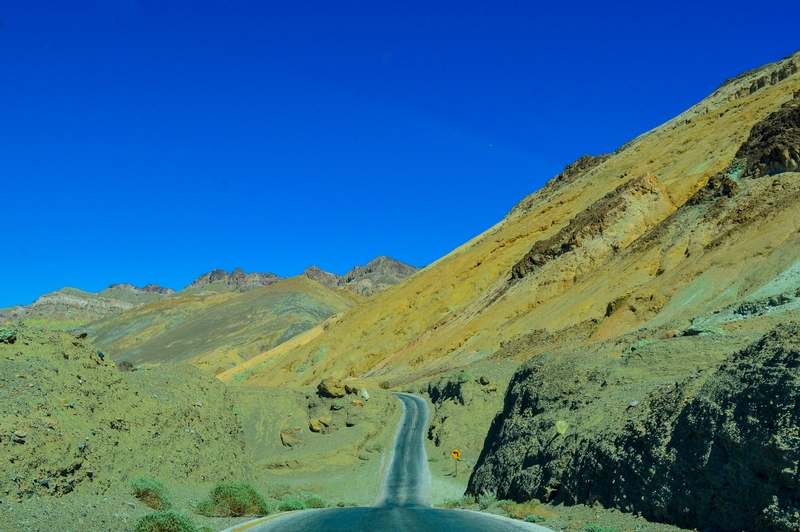 As you drive along Artist’s Drive you soon reach the main attraction which is Artists Palette. Artist’s Palette offers many of the same colourful rocks that you’ll see whilst driving along Artist’s Drive however there is a particularly intense collection of colours present on the rocks here that are clustered together. 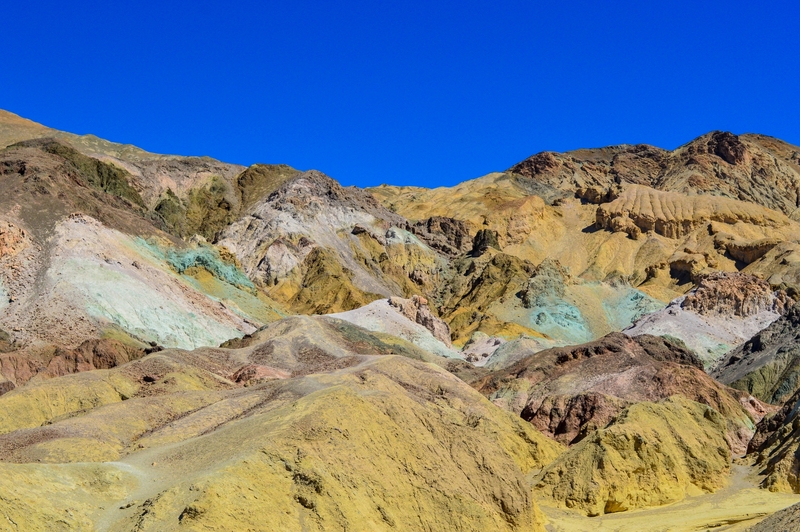 This of course is what gives it the name Artist’s Palette. I’ve never quite seen anything like it and to me it certainly is beautiful and creates a real spectacle in an otherwise colourless and bland desert landscape. 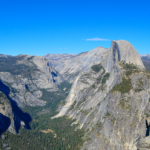 It is said that depending on the time of day that you visit the colours and intensity can really change so you can go back time and time again and get a different experience both along the road and at the Palette itself each time. There are information boards preset here which explain how the rocks formed and various mineral compositions that create the array of colours. Additionally there is a public toilet/restroom available to use but be prepared for what to expect from one that’s sat in a desert heat all day! 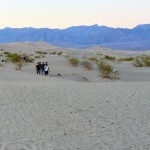 Heading to Death Valley National Park you expect to see a baron desert landscape. 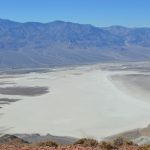 You know from your research that there are of course things to do here such as visit Dante’s View, Zabriskie Point and the Salt Flats in Badwater Basin but you certainly don’t expect to be met with a sea of colour. 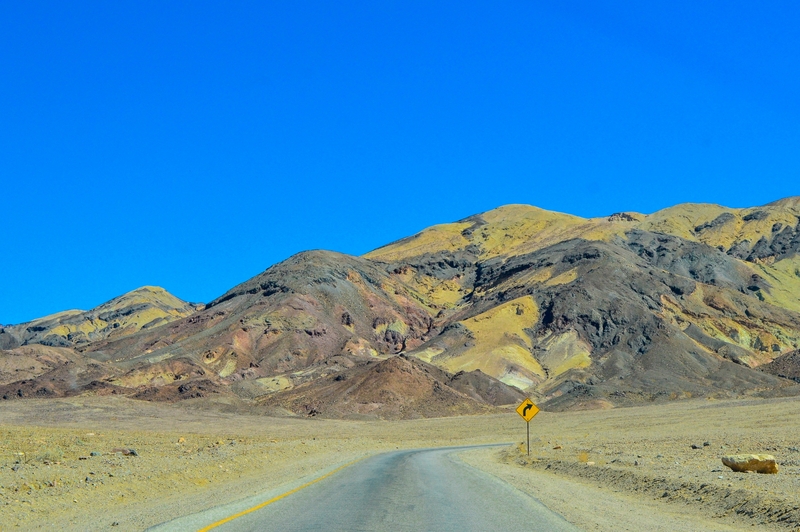 I really enjoyed my time both driving along Artist’s Drive and looking at the colours at Artist’s Palette and reading about how they were formed. 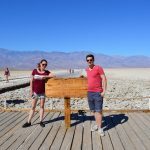 If you’re heading to Death Valley National Park perhaps on the way to either Las Vegas or Yosemite National Park be sure to add a slight detour to your journey to stop here, you won’t regret it. 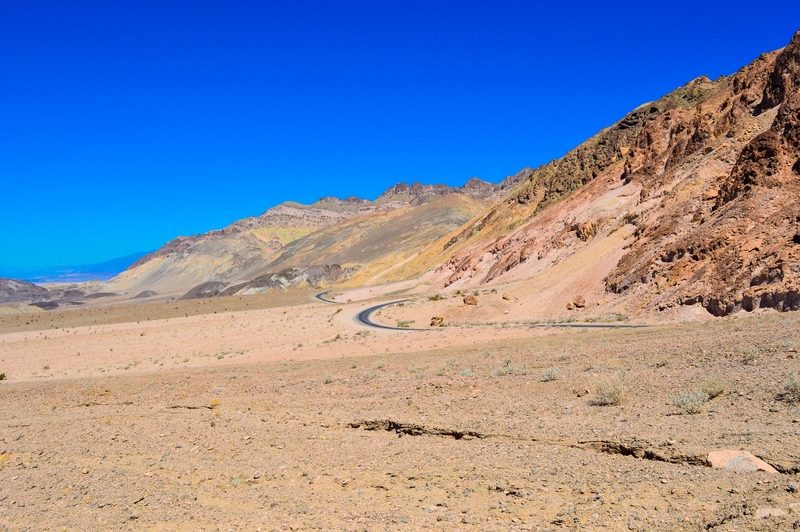 Are you heading to Death Valley National Park this year? We’d love to hear your plans, let us know in the comments!